Argentina aims to increase forest plantations to 2 million hectares from 1.3 million hectares by 2030 through a 'Green Insurance' program; 1% of vehicle insurance premiums will fund tree planting to mitigate climate change, foster economic development. According to a recently published legal alert, Argentina will create a "Green Insurance" program to promote both forestation and enrichment of native forests with the aim of increasing forest plantations from 1.3 million hectares to 2 million hectares by 2030. Argentine President Mauricio Macri has announced an agreement between the Insurance Superintendency of the National Ministry of Finance and the country's leading insurance companies to create this program. To reach 2 million hectares by 2030 would mean expanding forested areas by 62,000 hectares per year. Under the Green Insurance initiative, 1% of the premium of each insurance policy covering motor vehicles, motorcycles and cargo trucks would be allocated to the Forest Promotion Law (No. 25,080), which encourages planting trees to mitigate climate change and to foster economic and social development. These funds will finance tax incentives for plantations and the reimbursement of certain planting costs for qualifying activities. Law No. 25,080 establishes a regime for promoting investments made in new forestry enterprises and in expanding existing forests. 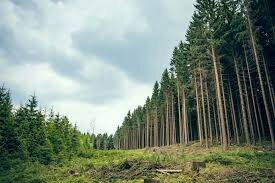 The initiative covers activities such as implementing new forests, including their maintenance, management, irrigation, protection and harvesting; research and development; and timber industrialization. Individuals or legal entities that participate in activities included under this law (including foreign investors) may apply for a special tax regime (which includes, among others, guaranteed tax rates for a term of 30 years, refunds of value-added tax and a differentiated income tax amortization regime) and a monetary contribution in the form of a reimbursement of a certain percentage of plantation costs (depending on the hectares, zone, species and forestry activity involved). To implement the Green Insurance initiative, the Insurance Superintendency of the National Ministry of Finance and the Ministry of Agro-Industry have enacted their Joint Resolution No. 1/2018 that creates the environmental sustainability and insurance program (the PROSAS), which would collect the 1% insurance premium to fund the program. The PROSAS will be funded by the voluntary contributions of the insurance companies and its funds will finance the Monetary Contributions for qualifying projects under Law No. 25,080. The Green Insurance initiative is currently in the process of identifying, enlisting and registering the insurance companies that will participate in the program. It is expected that the first funds will be collected in approximately three months.